This article was sent to the BBT International through their website (http://www.bbtedit.com/contact) and to Jayadvaita Swami’s personal e-mails (jswami@pamho.net and jayadvaita.swami@pamho.net) the 24th Oct. 2013. We asked them to comment on the points raised. This change is both needless and alters the meaning. 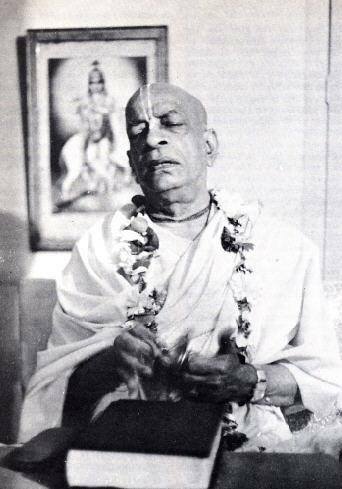 It is NEEDLESS because Prabhupada has not asked for it. It alters the meaning, as the words “enjoys the self” is erased and replaced with “enjoys this knowledge”. And the words “has achieved this” are substituted with “has become accomplished in the practise of devotional service”. Furthermore the words “are culminated” in the end of the purport are NEEDLESSLY changed to “culminate”. So there are NEEDLESS changes BOTH in the translation and in the purport. Usually all this is explained away with something from the “original manuscript”. But on BBT International’s website we find no information about this change. So AGAIN the “original manuscript” is seen to be closer to the 1972 original Bhagavad-gita than Jayadvaita Maharaj’s version. Prabhupada: Yes. Knowledge: “I am part and parcel of Krishna, or God. My duty as part and parcel is to serve Krishna.” Just like this finger is the part and parcel of my body. The duty of the part and parcel is to serve. This entry was posted in All posts, BBTI, Bhakta Torben Nielsen, Direct quotes, Examples of changes, Jayadvaita Swami, No reply from BBT International, Prabhupada said and tagged bbt, BBTI, Bhagavad-gita, examples of changes, Jayadvaita, posthumous editing, prabhupada. Bookmark the permalink. Here is another example of changing Srila Prabhupada’s words; you may send it on to any website you choose. The living entity is called the marginal energy because by nature he is spiritual but by forgetfulness he is situated in the material energy. Thus he has the power to live either in the material energy or in the spiritual energy, and for this reason he is called marginal energy. He is sometimes attracted by the external illusory energy when he stays in the marginal position, and this is the beginning of his material life. The living entity is called the marginal energy because by nature he is spiritual but by forgetfulness he is situated in the material energy. Thus he has the power to live either in the material energy or in the spiritual energy, and for this reason he is called marginal energy. Being in the marginal position, he is sometimes attracted by the external, illusory energy, and this is the beginning of his material life. 1)	In the original Srila Prabhupada version, we see that attraction to the external energy is *only* taking place “when he stays in the marginal position”. Thus when he attains immersion in the spiritual energy, and thus leaving behind the “marginal position [i.e., marginal location]” he will not become attracted by the external illusory energy again. To repeat, this is because he is not “in the marginal position” when situated in krsna-prema in Goloka. Thus he will not fall from Goloka. This is the siddhanta taught by sastra and all Vaisnava acaryas, Srila Prabhupada included. 2)	In the Dravida dasa altered version, we see that the replacement text implies that jiva “being in the marginal position” is liable to be attracted to material energy any number of times repeatedly because “being in the marginal postion” is his *permanent* status. Thus, even in Goloka because jiva is “being in the marginal position” he is “sometimes attracted by the external illusory energy”. Thus by this change the implication is that jiva may fall repeatedly from Goloka Vrndavana, and did so originally. This twisting of meaning has been achieved by removing the original contextual meaning of “marginal position” as the marginal *location*, and changing “marginal position” towards implying a permanent status of “being marginal”, and thus implying that jiva may fall down from even Goloka Vrndavan, and may do so again repeatedly. This is impure apa-siddhanta and opposed to the siddhanta taught by sastra and all Vaisnava Acaryas, Srila Prabhupada included. In this way, Dravida has introduced the apa-siddhanta of Goloka falldown of which he is known to be erroneously attached. In the Srila Prabhupada original there is no fault in the English at all, so there can be no justification for changing the original text in the first place. We are left to conclude that Dravida has his own agenda. He would change the words of Srila Prabhupada in order to propagate his own apasiddhanta and cover the teachings of Srila Prabhupada. In this way he is a rascal of the first order and becomes an enemy of his own guru. Of course, the incompetence, unnecessary changes, philosophical changes, and “writer for hire” public insult to Srila Prabhupada by BBT(i) so-called editors are well-known, but still these incompetents are allowed to continue in their posts. Even in the material world, such incompetence and evident motivation would have caused their dismissal long, long ago from any publishing house. 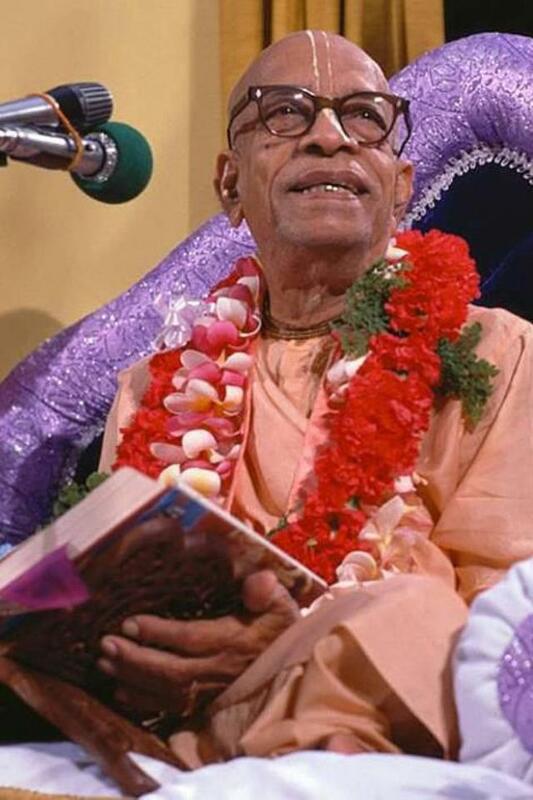 But here in ISKCON, we the guardians of the lifework of such a great acarya as Srila Prabhupada do nothing to rectify this personal attack on very core of Srila Prabhupada’s mission – his books. In view of the chronic inaction of the GBC to this incompetent hacking away at Srila Prabhupada’s books, all in contravention to his clear and direct instructions, the recommended action must be to avoid all these “revised” editions. It is clear by the above example from the Caitanya-caritamrta that the so-called editors are motivated and unfaithful to Srila Prabhupada. Many more examples could be sited, even from the very introduction of the Caitanya-caritamrta with its guru-parampara debacle enacted by Dravida. Therefore dear devotees of Srila Prabhupada, wherever possible read and distribute the original Srila Prabhupada versions. Yes, there are some imperfections here and there, but the final point is that those originals are the books that Srila Prabhupada wanted you to read and be preserved unchanged, undoubtedly. Devotional service is always spontaneous. One renders such service with or without knowledge. Devotional service being rendered with knowledge is normally subject to personal motivation and thus endangers ones such service as conditional service whereas devotional service without knowledge is more safer considering as unconditional. So the meaning is totally different in the changed version. The potency of the meaning in the changed version of the verse is completely lost. This is a very good example of Jayadvaita COMPLETELY CHANGING the meaning of what Prabhupada has written. The original says that one who has achieved transcendental knowledge enjoys the self within himself in due course of time. But JAS does not like this. So he changes it to one who becomes accomplished in the practice of devotional service enjoys the self within himself in due course of time. This means, according to JAS, one does not have to achieve transcendental knowledge at all. He just has to be ‘accomplished in the practice of devotional service.’ These words are 100% speculated by JAS. They do not appear at all in the so-called ‘original manuscript’. It is the same watering down of the philosophy he has done all the way through the book. He has removed the need for actual spiritual advancement, actual realization, and replaced it with the ‘accomplished in the practice of devotional service’ which is just ‘strictly following’ and does not mean the person has any realization at all. So what JAS has written is completely wrong. Being ‘accomplished in the practice of devotional service’ does not mean anything at all. He may have become ‘accomplished in the practice of devotional service’ simply by austerity and may have not achieved any transcendental knowledge at all. I wish you all success in this endeavor Prabhu. All glories to your service. Chant Hare Krishna and be happy!